Cabernet Sauvignon is regarded as the King of Red Wines. This grape produces fine wines with wonderful structure and great ageing potential and forms the backbone of many classical and elegant Bordeaux blends. 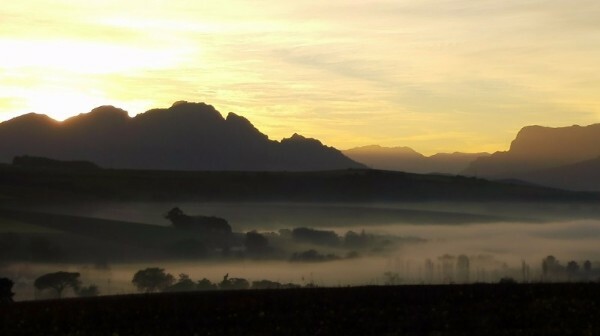 Some outstanding Cabernet Sauvignon wines are produced in Stellenbosch, also referred to as “Cabernet Country”. DeWaal Cabernet Sauvignon has been selected by SASA (The South African Sommeliers Association) as a “Rich and Voluptuous” wine. Rated four stars in the Platter’s Wine Guide, this wine has consistently enjoyed good ratings. Just perfect for Dad! Purchase a bottle DeWaal Cabernet Sauvignon 2014 at the farm for R195,00. And receive a Father’s Day gift for free! The complimentary gift was specially sourced for Dad. 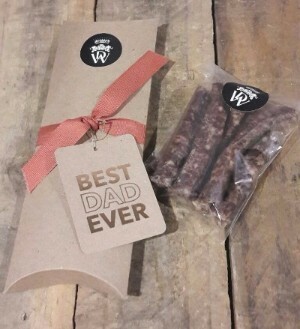 Quality dried beef wors, individually wrapped for Father’s Day. Available at the farm only, while stocks last. To reserve your order for collection at the farm email admin@dewaal.co.za. DeWaal deliver 24 bottles or more free of charge to all main centres in South Africa.